BRILLIANT trotter Wobelee and Group One Ladyship Mile winner Carlas Pixel have been named as recipients of an Australian invite to the Harness Jewels. Wobelee will wear the Australian silks in this year’s Three-Year-Old Ruby and joins fellow squaregaiter Custodian in the Aussie assault on New Zealand’s richest harness race day. Trained by Alison Alford, Wobelee became the first two-year-old to be named Australian Trotter of the Year following his stellar debut season in 2016/17. In just 12 starts he amassed 10 wins, four at Group One level, for more than $180,000 in stakes. 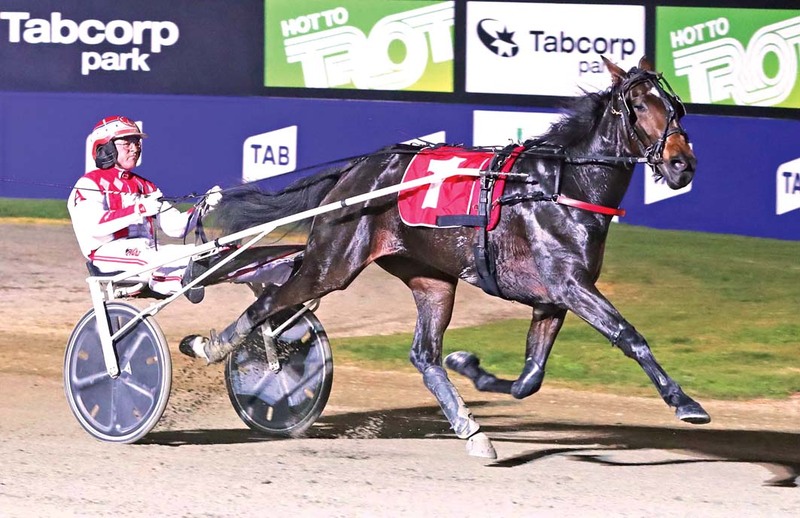 He collected the Redwood Classic, Vicbred Super Series Final, Vicbred Classic and Breeders’ Crown in his impressive resume. Wobelee extended his winning streak to 12 last March by winning a heat and the Final of the Group One Need For Speed Final at Melton. His connections were thrilled to receive the invitation and cannot wait to unleash the squaregaiter on Jewels day. “We only train a small team and we may never have another one good enough to get an invite, it will be a great experience,” regular driver Chris Alford said. Outstanding mare Carlas Pixel is trained by Dean Braun and has won 14 of her 39 starts, with stakes edging close to $300,000. In the start prior to her Ladyship Mile win Carlas Pixel recorded an impressive Group Three victory over a mile in 1.51.7 in the Robin Dundee Stakes also at Menangle. After attending the Jewels as a spectator four years ago, which was his first trip outside of Australia, co-owner Shannon Nixon cannot wait to compete at the Jewels. “I’m very excited and looking forward to it,” Nixon said. “To be honest, I only came into the ownership of the horse at the start of this season. “I purchased her as a breeding proposition in the future so everything she has done this season she has just gone from strength to strength. “She’s versatile. In her last two starts she won when leading in her lead up to the Ladyship Mile and then she won the final from near last on the turn.